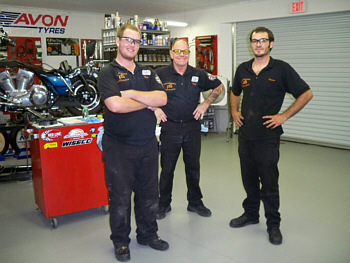 Meet the guys who grunt and sweat to keep your ride running smooth. 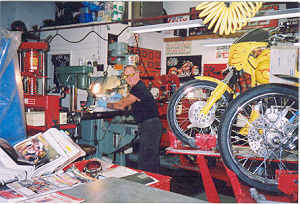 This is the owner and Master Technician Tom Kelly. 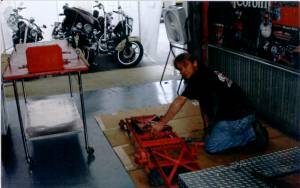 Kelly has owned and operated a motorcycle repair business for over 40 years and is considered an expert on all Harley-Davidson models and American V-Twins. 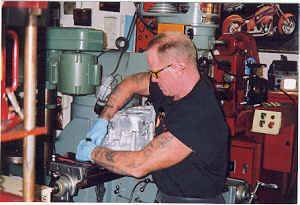 Here is Kelly welding a Sportster transmission case section. Next Kelly makes an adjustment to a drive train. This is Chris Kelly. Chris assists around the shop as he learns the business from the ground up. 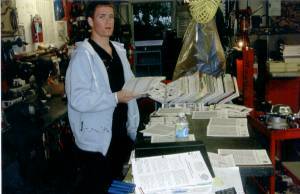 Here is Chris at the back parts counter. Next is Ken Kelly. Here Ken cleans up around the Dyno, helping to keep Performance Specialists a safe and clean working environment.